Luxury is a way of life for many. India is a rich nation that offers various unforgettable luxurious experiences, ideal for those who like to splurge on luxury. Sejour De Grand Luxe tour by Heritage Hotels of India is a well-planned package of 11 days that that comprises of various such wonderful memories. During the itinerary, one gets a chance to explore amazing cities of India including Delhi, Agra, Jaipur, Udaipur, and Mumbai along with tiger spotting at the Ranthambore. Enjoy sightseeing, indulge in shopping, savor sumptuous meals and stay in luxury heritage properties. As you arrive at the Delhi Airport, meet our tour representative who helps you with an assisted transfer to the hotel. Complete the check-in formalities and have some rest. Later, the rest of the day is at leisure. You can embark on a city tour including the prime attractions of Old and New Delhi such as Qutub Minar, India Gate, Jama Masjid, Humayun's Tomb, President's House, Chandani Chowk, Janpath, Connaught Place etc. Visit places as per your liking. Back to the hotel for dinner. After breakfast today, get transferred to the railway station to board the train for Agra. On arrival, receive an assisted transfer to the hotel. Check- in and get freshened up. 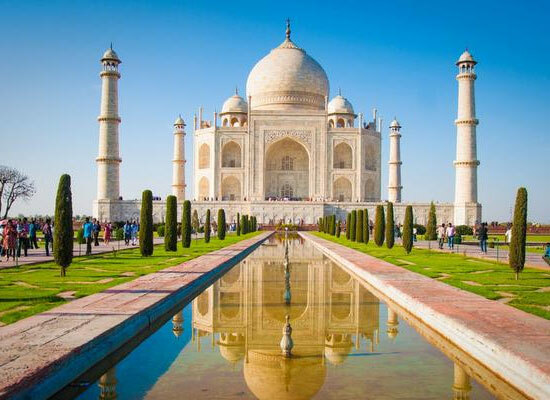 Thereafter, in the afternoon, get ready for visiting the World Wonder of Taj Mahal, also a World Heritage Site. This white-marble mausoleum was constructed by Mughal Emperor Shah Jahan in the memory of his beloved wife Mumtaz Mahal. The evening is at leisure. You can spend as per your liking such as interacting with the locals, savoring Petha (a sweet) and Dalmoth (a savory item), shop at the local bazaars etc. Dinner at the hotel. Day 3 of the tour is scheduled for city tour of Agra. The first visit of the day is to the Itmad-ud-Daulah Tomb, also known as Baby Taj or the Jewel Box. This mausoleum was constructed by Empress Nur Jahan, the wife of Emperor Jahangir, in the memory of her father Mirza Ghiyas Beg. The next visit is to the World Heritage Site of Agra Fort. 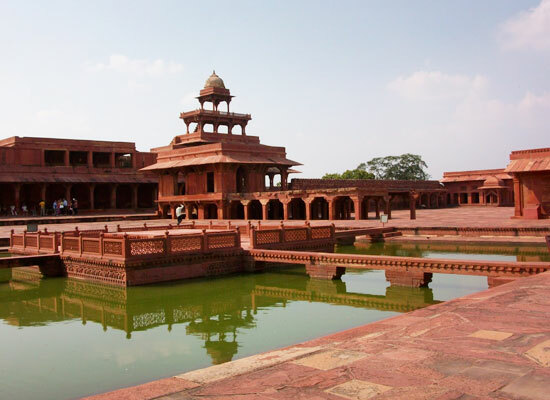 The complex has red sandstone structures that were built by Emperor Akbar and the marble structures were commissioned by Emperor Shah Jahan. Later, you can either relax in the hotel room or can head to the local markets for shopping. The day starts early today. 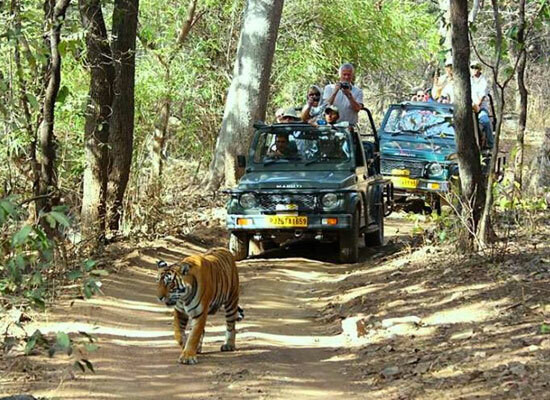 After breakfast, start your road journey to the very popular Ranthambore National Park. On the way, halt at the UNESCO World Heritage Site of Fatehpur Sikri. Built by Emperor Akbar, this palace complex was the capital of Mughal Dynasty from 1571 and 1585, but was later abandoned due to shortage of water. Continue your journey to the national park. Complete the check-in and freshen up. Thereafter, if you want, you can go for a nature walk. It is one of the largest wildlife reserves in Rajasthan. Day 5 start early as you embark on a wildlife safari inside the national park. 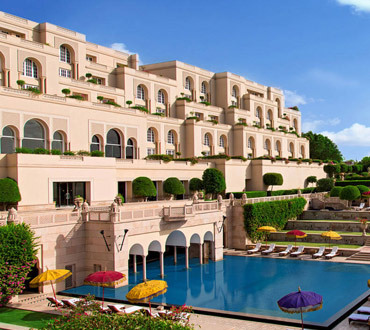 It is the former hunting grounds of the Maharajas of Jaipur. It is one of the best places in India to see tigers. Other animal species found here are langur, sloth bear, Nilgai, chinkara, chital, Indian flying fox and so on. Back to the hotel for breakfast. Later, the day is at leisure. Do not miss out on exploring the ruins of the 10th century Ranthambore Fort. During late afternoon, you can either opt for another safari ride or can embark on a nature walk, accompanied by a naturalist. Dinner at the hotel. 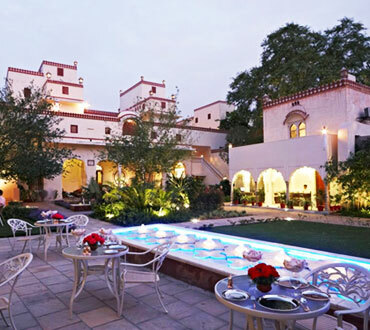 Breakfast is followed by a road journey the capital city of Jaipur, fondly known as Pink City. Upon arrival, check into the hotel. In the afternoon, you are free to pay a visit to the popular attractions of Jaipur. Pay a quick visit to the Jantar Mantar astronomical observatory, a World Heritage Site. Next take a tour of, the City Palace, home to Chandra Mahal that still the official residence of the royal family of Jaipur. 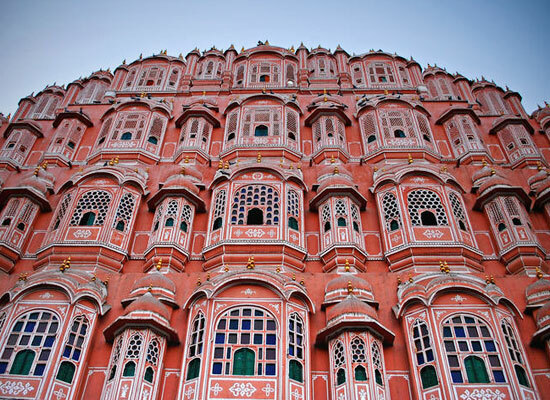 Check out the beautiful Hawa Mahal, an amazing structure with 953 jharokhas that were made for the royal ladies to see the on-goings on the street. Dinner at the hotel. 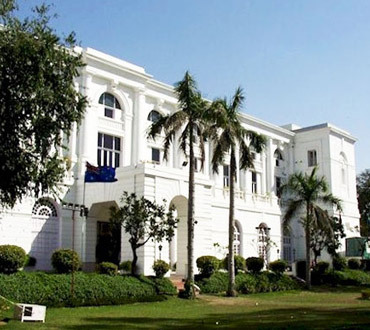 Overnight palatial stay at a heritage hotel or similar category. Today, a Jaipur city tour is scheduled. Post breakfast, get all set for a visit to the mighty Amer Fort built on the top of a hill. Enjoy an elephant ride or go for a jeep ride up to the entrance of the fort. The places to visit in Amer include Diwan-i-Aam, Diwan-i-Khas, Sheesh Mahal, Jai Mandir, Sila Devi temple, Baradari pavillion, Ganesh Pol and Sukh Niwas. The rest of the day is at leisure. Take a tour of the local bazaars presenting wonderful handicrafts, puppets, traditional dress materials, apparels, precious or semi-precious jewelry, gemstones and so on. 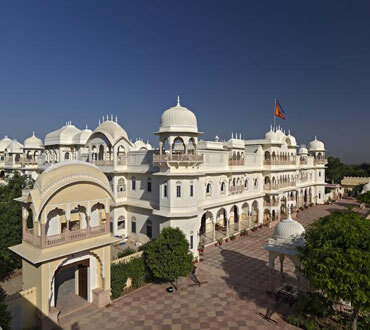 After breakfast on day 8, get an assisted transfer to the Jaipur Airport to board the flight to Udaipur, the Lake City. As you reach, get transferred to the hotel. Check-in and freshen up. In the afternoon, get ready for the city tour of one of the most romantic destinations in India. 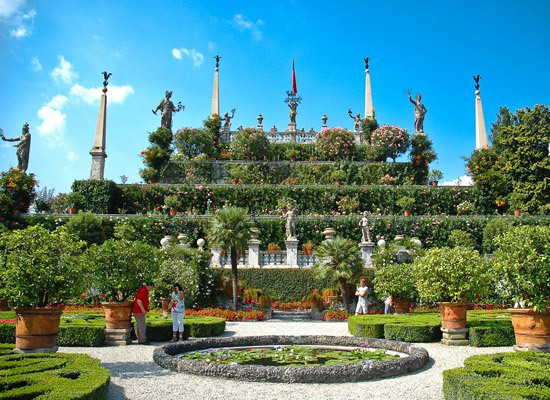 Visit Sahelion Ki Bari- this well-maintained garden boasts of amazing marble art, a pond and fountains. 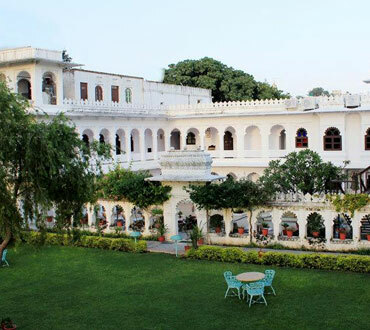 It was founded in the 18th century by Maharana Sangram Singh for the royal ladies. Later, visit City Palace and Museum. 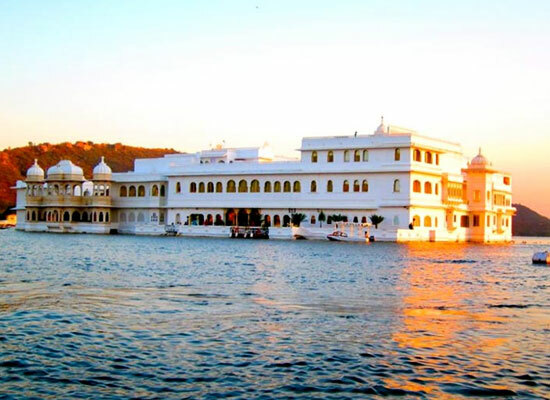 Built on the banks of Lake Pichola over a span of 400 years, has contributions from various rulers of the Mewar dynasty. Post breakfast, get ready for a day's excursion to the popular temples of Eklingji and Nagda, located 22 km northwards of Udaipur. These are popular places of worship the followers of Jain religion and are known for their stunning architecture. The evening is scheduled for boat ride on the placid waters of Lake Pichola. Enjoy a visit to the marvelous Jag Mandir. Dinner at the hotel. On day 10, breakfast is followed by an assisted transfer to the Udaipur Airport to board the flight for Mumbai. 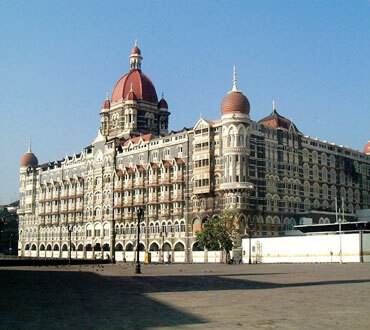 On your arrival at Mumbai Airport, get transferred to the hotel. Check in, freshen up and take a little rest. In the afternoon, visit Museum, Dhobhi Ghat, Hanging Gardens, Crawford Bazar, Mumba Devi Temple, etc.